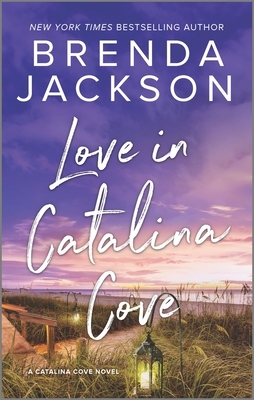 In her brand-new series, Brenda Jackson welcomes you to Catalina Cove, where even the biggest heartbreaks can be healed...In the wake of a devastating teen pregnancy that left her childless and heartbroken, Vashti Alcindor left Catalina Cove, Louisiana, with no plans to return. Now, over a decade later, Vashti reluctantly finds herself back in her hometown after inheriting her aunt's B and B. Her homecoming gets off to a rocky start when the new sheriff, Sawyer Grisham, pulls her over for speeding, and things go downhill from there.The B and B, a place she'd always found refuge in when it seemed like the whole world was against her, has fallen into disrepair. When a surprising benefactor encourages Vashti to reopen the B and B, Vashti embraces a fresh start, and soon old hurts begin to fade as she makes new memories with the town--and its handsome sheriff...But some pasts are too big to escape, and when a bombshell of a secret changes everything she thought was true, Vashti is left reeling. With Sawyer and his teenage daughter determined to see her through the storm, though, she's learning family isn't always a matter of blood--sometimes it's a matter of heart.